The finca contains 2 houses on a plot of 9600 m2, and was previously a BB, some years ago. The licence could be renewed. There are 11 bedrooms, authentic but small and also 2 bathrooms in total. 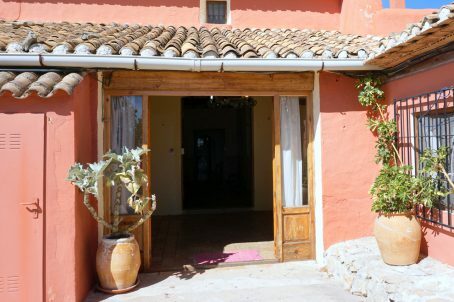 One of the houses, the old finca is distributed over two levels and consists in three lounge-dining area, separate kitchen, six double bedrooms and two bathrooms. The property all together is a very good investment opportunity as it can easily be turned into B&B or restaurant as it used to be rented out for the holidays. But for a BB some substantial work inside needs to be done. The buildings are in good condition. One separate house, used for holidays now, need some finishing on the outside. Connected with mains and water deposit. Garage and storage room.